Teen girls on the Harajuku street wearing eclectic and all black styles with purple hair and a silver coat. 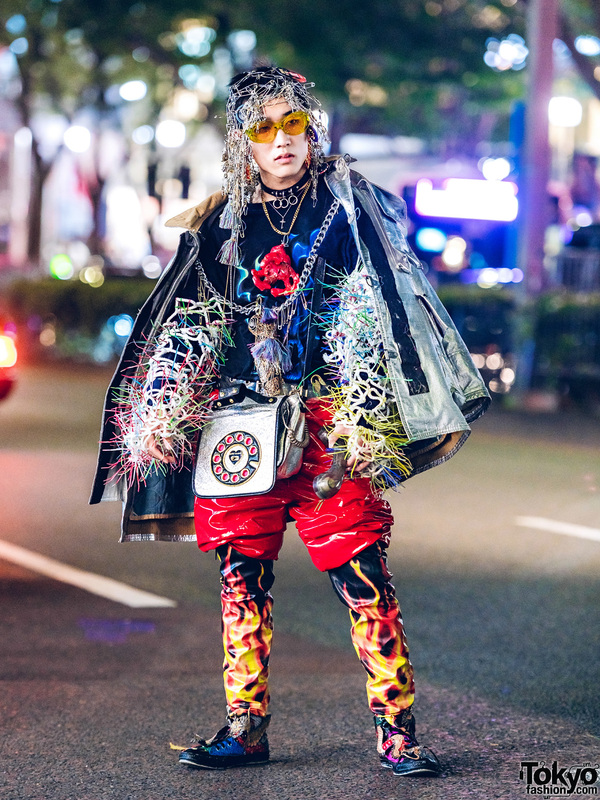 Harajuku guys sporting eclectic streetwear looks with colorblock puffer jacket over motorcycle jacket, ripped jeans, a metallic silver parka jacket, accordion pleat pants and footwear. Harajuku artist sporting a silver and black outfit while out on the street one day. 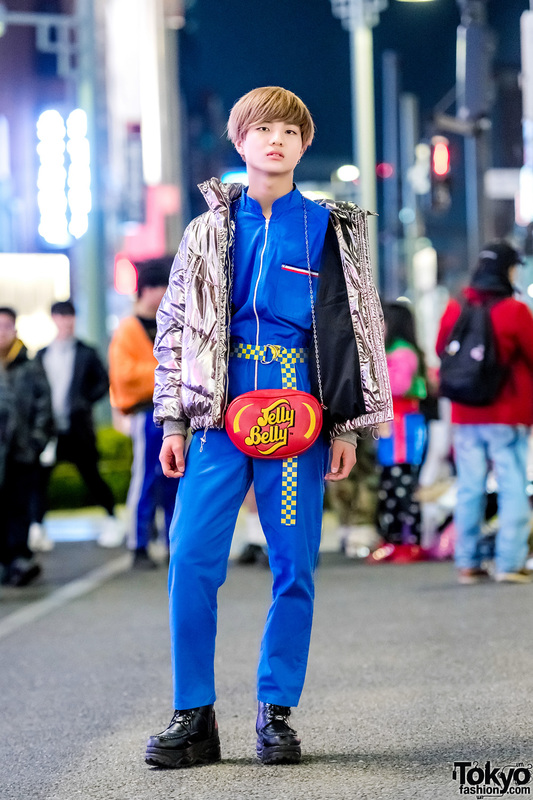 Harajuku guy wearing blue overalls, a metallic quilted jacket, platform boots, and a Jelly Belly chain strap bag. 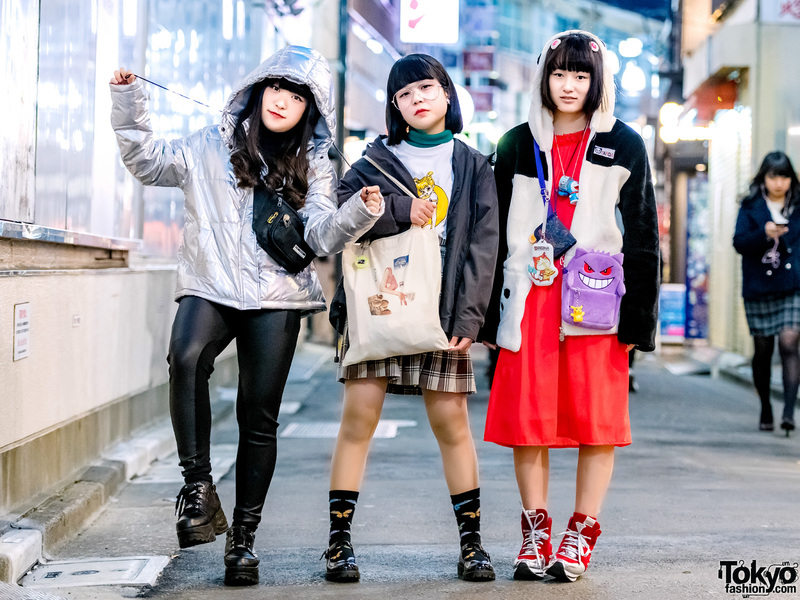 Harajuku teen girls sporting eclectic streetwear styles while out and about. Japanese musician and Tokyo Decadence staffer wearing HellcatPunks and MILKBOY.